Interesting post about domain extension content and link. Having the .com extension is far better than all the rest. Even better if the domain name has keyword(s) that can secure your place in the top of the search engines. I do have to disagree with the content and link comment. I have a good pr rank and very little links. It has been my experience that good quality content outranks link anytime. Could you provide a reference link to the information that the .org extension is better for seo than the .com? Thanks very much for your contribution to this vital subject. I just reread my post, I didn’t see a reference to .com being FAR better than all other domain name extensions. I remain confident that the .com, .org and .net FAR exceed the ranking of other domain name extensions for seo even as late as July of 2011. The .com and .org remain more powerful than .net. My .com exact match urls still beat the other top level domains, but the .org is close. The .net is lagging the .com and .org, but all three give one a boost in ranking on Google compared to .info, .biz, .us, .ws, .tv, etc. Matthew Cutts was asked after the Panda Update if the top level domains were more ranked higher on a Google SERP than the others and he said he would have to check into it. Looks like you are doing well with you PR4 http://www.GUZMANSGREENHOUSE.COM website. Looks like you’ve got 939 links (and now another one from my site), some of which are coming from your huge 424 page site and that you’ve got some age on it with a start date of March 10th, 2003. I applaud you for sure. A PR 4 site is solid. It’s hard to argue with your success. 1. Anchor test links containing your primary keywords and what the authority of those site are. In your case, I’d say you’ve created great copy for gardeners and they love your content with a passion so they naturally link to it and it creates buzz. So, over time, your content naturally drives your SEO. A simple illustration of why I think appropriate anchor text links rule is if you do a search on Google for the keyword phrase,’click here’, you’ll find that the SERP (search engine results page) comes up with the Adobe Reader download page in position one. The interesting thing is that even though the words,’click here’ don’t appear anywhere in the content, meta tags or in the url, the site still has the highest page reputation out of 1 billion other broad match competing sites. Anchor text links have driven this page to the number one position. Soon, I hope to put up a blog post on how to throw a wild card in the mix and blow away other highly optimized sites. So, stay tuned. Paul thanks for your comments based on your experience. Great site, I wish I owned it. An interesting post. I would say that the other great domain name extension in my experience is a .org. In many cases google will give more trust to a .org than a .net and even a .com. This is because Google knows that a .org may provide non commercial content that is better quality. I think this will start to play out even more as google continues to focus on user specific search results. This will pay out big SEO dividends to churches and nonprofits who choose to use the .org domain name. However I do not think its a good replacement for a .com.. and a .com is always my first choice. Its amazing what a good .com domain name can do when it matches a high traffic keyword phrase of 3 words. #1 Good content provides natural links from people who like it. #2 A high ranking SEO’d site that does not convert is worthless. #3 A site with high quality content always makes more money when selling products. People will scour the net for good content, even if it does not show on page 1 of google. Also this will create natural traffic outside of search engines. This does not downplay the fact that link building is the number one strategy for better seo rankings. Even poor quality sites with lots of links rank highly. I still think it comes back to content though because one of the top methods for link building is article writing, which requires quality content. The last thing to consider is that Google’s end game strategy is to provide high quality results, and building the highest quality content will win the long term organic results everyone wants. Of course it helps to speed the process by link building, and making sure the content is optimized. I also have to say that your advice to stay away from the other domain name extensions is good advice. You rarely see a .us in the top of the serps. The only place this changes is in other countries. A lot of .uk domains rank well in the uk.. just like a lot of .in sites rank well in india… but here in the US, a .com is your best bet, everything else is like choosing to start with a handicap. Thanks for sharing your thoughts. You make several good points. I agree that if the content is good enough, the links will come, it’s just that I’ve rarely created such good content that a flood of links came pouring in. If people could do that at will, then SEO specialists would be out of business. Even my biggest clients haven’t been able to acheive content so good that it drives links even with multi-million dollar budgets. Your second point number 2 about conversion may be true to many; however, that deserves a new blog post entirely as the topic covered in this post was what the best domain name extension was for SEO. Hospitals and doctors would go out of business if they accomplished their mission, and search engine optimization specialists would die out if everyone could write content so good that it inspired external backward links. Somehow, I feel safe. Ultimately, from your site, http://www.DarkBlackCoffee.com, I can see you are responsible for the whole site and often that includes the content and my primary focus is getting sites to page one of Google for a specific keyword phrase. I appreciate great content as much as the next guy, but we’re just looking at the same subject from different perspectives. I’m focused on SEO and you are focused on graphics, web design and sometimes content. I treasure your thoughts, so thanks for taking the time to share them. By the way, I know one of your clients. They say you do good work. I myself would use your services. Very interesting. I agree that the .com extension is the way to go. Not only will it get you higher ranking as you point out so well, it will probably get people to your page in the first place. I think that people use it without even thinking most of the time. It is amazing that you can rank without content. Great article! I know YOU! We’ve talked on the phone before. How kind of you to stop in and leave a comment! You are off to a great new blog: http://www.cashflowkarma.com. I can’t wait to watch your new site grow. Great Post I agree don’t park domains at least put something on them and I do think that .coms are the best to use. every one is familar to .com. Anyway Great talking to you on the Phone today. Thanks for always having an open door to bounce ideas off of each other. You’ve been a great friend and I’ve greatly enjoyed your podcast for almost two years. Hi Glen! Interesting article. I am interesting in buying your domain http://www.apartmentinriodejaneiro.com. Is it for sale? You can send me an email at isak.engdahl@gmail.com if you are interested. As an seasoned Internet marketer I never thought of the dot com had anything to do with Google ranking, but i guess it can have some wiegh on it.. Thanks for stopping by. Yes, there is no question about it for now, the .com extension is by far the most powerful and .org is a close second. None of the others in 2010 even come close. The truth is, I wish it wasn’t so, because it rewards those who got in the game earlier rather than those with good content. Good content is a very small factor in SEO. I don’t like to say it, but content is not king in SEO. Maybe one day it will weigh heavier, but for now that’s not the way it is. Great Article. I was reading your comments on “Keywords, SEO” VS “Good Content”. Just very recently Google updated their algorithms where they mentioned about rewarding sites with Great Content Vs Heavy Keyword loaded website. You can read more about it here. SEO Optimized Website. So the rules are changing which is good in many ways for people looking to get the results. I am doing some Internet Marketing along with providing Financial Education Services and my website is http://www.AshwiniJindal.com and http://www.BadCreditToGreatCredit.com. I would love to hear your views. Google is attempting to ferret out spam content vs content created by link builders, but it’s an uphill job for them. Since February of 2011 I’ve noticed a lot of linkbuilding has been discounted by the latest algorithm. For example up to this point, blog commenting has been powerful, even on no follow blogs, but things are changing. I’ve also found that blogroll and footer links are discounted more than in 2010. Social media links were discounted in 2010 as well. In 2011, my preliminary tests show that links in press releases and the pool of syndicated content created in their wake has been discounted. Some of forum profile links have been devalued, but not all. I still say links beat out content with Google, it’s their primary influencer, but it’s now more the type of links and what site they are coming from that makes the difference. Link spam has always worked to some extent up till now, but there’s a new Sherrif in town. Something that bothers me and a lot of individuals and companies, it appears that Google is favoring negative content and keywords, like: criminal, scam, prison and rip-off. A business in France won a law suit against Google on this subject. I have noticed that the domain plays an important role in ranking. Does anyone know how slashes dashes in the name play out. Such as Art-Store-ny.com or is Artstoreny.com better. From my experience, the dashes are a negative, but they are less so in 2010 than they were in 2008. I’ll go for a hyphenated domain name from time to time as long as I can get it with the .com extension. I got http://www.Greenville-Massage.com number one on a Google search for keyword phrases like: greenville massage, massage in greenville, massage greenville, greenville massage therapist and greenville massage therapy, but I know it took more expertise to get it there. The have been articles i have read on the web claiming that domains with .me extensions or .info extensions don’t rank well. I would say from my experience that if you have keywords on your domain name then it does help no matter the extension. I agree, having the keywords in the domain name does help regardless of the the extension. If you can get them with the the .com or the .org, then you’re really giving yourself a boost. The .me and .info extensions don’t do nearly as well as .com or .org. For example, I can publish the same content all at the same time using various domain name extensions. The .com and .org show up on page one or two on a Google SERP while the .me or .info will likely show up on page 12. Of course it depends on how many sites compete for the same keyword phrase too. Hi, Glen: I absolutely agree with your choice of .com as prime domain preference. Another point on that is your readers – they are much more likely to type .com in the search rather than anything other extension. Findability is imperative! Ana, thank you for your thoughts. It’s been a pleasure working with you within the world of YouTube. Firstly, I’d like to say it’s good to see another South Carolinian with a mind for IM. I’m from Columbia and it seems to be void of any form of serious IM. While it’s true that you can rank well with any extension, I don’t see many of the smaller extensions (me, info, etc) at the top of the SERPs. Yes, I agree. You can get .biz, .me and .info to the top, but you’ll need a lot more link building to do so. I googled this very topic and you came up on page 1. Interesting comments. The results of your search for a keyword phrase for searches from different geographical locations absolutely affects the results of your search, but not the page rank. If you do a Google search in the UK, you’ll get different results that someone who does the same search in Micanopy, Florida, but both will see the same page rank for any given site. I completely agree with you that it’s better to have a .co.uk domain name extension if you want to appear higher in a search for UK residents. A .com is a close second if the search is based in the UK. The west coast of the US will get a different SERP (search engine results page) from the east coast. I think that if the search in done from within the UK, then .co.uk is the better choice, however, if you can get the .com, it’s a close second. If anyone living in the UK has had a different experience, please share it here as I’m doing more and more websites and SEO internationally. Sorry, the answer to my question was already in one of the previous comments. But also, when you say “5 appropriate back links” what kind of back links do you choose. What were your criteria? How often do you post them in order to seem natural? Natural links are easily created with blog comments just like you have done here. In fact, I think blog comments on high PR posts even if they are ‘no follow’ still help you in page rank and assist you in page reputation as well (getting a particular web page to rank for a keyword or keyword phrase). Both are important but different. Other common ways to get links are to use blog post trackbacks (http://www.optiniche.com/blog/117/wordpress-trackback-tutorial/). -Press releases that allow anchor text links, like PRweb.com. -Become a guest writing on someone else’s blog with an agreement that you get a link. I believe that a .com address is best. It may not be absolute but .com is “first to market” or the category creator and in most cases, like band-aid, Coke, Kleenex, Scotch-Tape, that is the category creator. To me, .com is the category creator. Yes, it cuts both ways, it’s good for those that got in the game early and bought the exact domain name, but challenging for those that are late to market. I’ve never thought of it as category creation. I will now. Very interesting article, Glen. It has always been my opinion as well that .com dominates the domain extensions battle. It is easily the most recognizable extension. Think of this hypothesis: If you were to tell 100 people the name of a website was “XYZ”, without calling out the extension, I’d say it’s a fair bet that 100 out of 100 would first try http://www.XYZ.com. Following after would be .net and .org, depending on the user. Remember the days of calling out a website and prefixing every time with “www”? Glad that is gone. I always advise that people shorten it up when saying a website name by canceling out wasting their breathe with the “www”. It’s so understood these days, and quite frankly, when someone tells me to go to “www.whatever.com” I am cringing while they power through the www part. Anyhoo, I think the same is now transcending to popular email extensions. When asked for my email address which is hosted at say Yahoo or GMail, I drop the “.com” and simply say my address “@gmail” or “@yahoo”. It’s just understood. That is the power of .com and its recognition. I am very curious to see the progression of .co. Certainly it has been used for years in the UK and abroad, with extensions such as “.co.uk”, but it is very interesting to see how the world adopts a “worldwide” domain extension. If it carries even a third of the weight that it has been hyped up to be, it could very well be the next best thing to .com. On the flip side, I wonder just how many non savvy users will be completely confused considering it simply looks like the M is missing in the extension. Time will tell, and I will certainly be keeping an eye on its early childhood years. What are anyone’s thoughts/predictions on our new baby “.co”? Let’s say the keyword phrase is “domain name”. Both contain the same keywords. Marek, that’s a great question. I’d go with a hyphen before I’d go with a weaker extention. For example, I went for CarolynJohnson.com for one of my clients, but they wouldn’t sell because they use it for they’re photography business, so I bought http://www.Carolyn-Johnson.com. I’ve also found throw-away words are a good alternative. For example, if you can’t get LawnMower.com, then go for TheLawnMower.com. It’s not as good as the first, but I’ve seen the latter perform quite well. what if i make seo to web site with co.il like the web http://www.pgn.co.il? is it easier to get high renked in google israel? Yes, I think so, but I have never tested it. Now that I know which 2nd lvl domain to get I have a question about keyword domains. I can’t find anyone or tool to speak to this. What should I get WidgetGotham.com or GothamWidget.com. I have asked 20 people and it went 10/10. I ran a poll on another of my sites & it was 75/30 was widgetlocation. Thanks for the help & you have a great & useful site! I’m at http://AscendWell.com & looking to specialize a few of the pages. Jason, I would buy both and put duplicate content on them. Despite the SEO chatter about duplicate content, it’s a myth when it’s on a different site. There can be a small issue about duplicate content on the same site which can be handled using canonical urls (http://www.mattcutts.com/blog/seo-advice-url-canonicalization/). I made 50 sites all with the same content for an automotive topic, the only thing I changed on each site was the city…all of them ranked well on page one for my primary keyword phrase. However, if it’s business I usually go with the one that rolls off the tongue for the memorable branding power; however, for the best SEO results, I’d use the Google External Keyword Tool to analyze the searches per month. You will get better search results if you go with exactly what people are searching for in spite of my branding url preference. Even with this tool, often the result of a GothamWidget.com / WidgetGotham.com analysis, the numbers are the same. If not, then go for the one that gets more searches. For a massage therapist in Greenville, SC, I tried to buy http://www.greenvillemassage.com, but they wanted $1,200 for it, so I went with http://www.greenville-massage.com for $8. If you do a Google search, it will likely come up number one for ‘greenville massage’ and number 2 for ‘massage greenville’. Bare in mind, I did zero backlinks for ‘massage greenville’. A special note: due to the poor economy, 3 years later, they were willing ot sell http://www.greenvillemassage.com for $300 so I bought it and have started a new site, but I haven’t really done any offsite SEO. However, it is on page one. Recently, a wonderful client named Carolyn Johnson want a personal blog, yet CarolynJohnson.com was taken by a photographer and she was unwilling to sell, so I bought http://www.Carolyn-Johnson.com. With a little SEO, our brand new site now beats CarolynJohnson.com. Try a Google search for ‘carolyn johnson’ to see. I’m not a fan of the dash, but it seems like Google doesn’t penalyze you for it like I think they used to in 2008. One suggestion I’d make is to redirect your url path for your home page to go only one url. Currently, http://ascendwell.com and http://www.ascendwell.com go to two different places; therefore linking efforts can possibly be diluted. Whichever one you have used to build links, I’d go with it as the primary path. But for new sites, I always set everything as such: http://www.ascendwell.com. Since this is a WordPress site, you can remedy this in 3 minutes by signing in to your dashboard, then in the left margin, click on the settings tab, then the general tab. You’ll see two fields: 1. WordPress address (URL) 2. Site address (URL). These are found right below the Title and Tagline forms at the top of the page. I’d set both of them to: http://www.ascendwell.com, then save the page. This will boot you out to the login page, but simply log back in using your same name and password. Viola, everything will now go to the http://www.ascendwell.com url. The problem is not as big as it used to be but why not go for the best? Thanks for the help! I appreciate all your efforts. One thing I noticed was that when I took your advice to change my settings. They showed both pointing to http://ascendwell.com no www. When I typed in both they both went to the same places for me. I have always used the non www thinking it would save space in printing & its faster to type then http://www.. Should I still change it? thanks again for the linking help & domain suggestions. I went & bought the .org domain in the prevalent one. If your http:// and your http://www both go to http://, then you are fine. I think your thought of brevity is valid as long as they both go to the same url. Some of the biggest urls out their go to just the http:// variety. In fact, you might have heard of it: http://twitter.com. So, you are good to go! A very interesting thread. What about in country domains? I have a website at http://howtospeakenglish.co.uk which gets traffic primarily from India and the Far East for obvious reasons. The question is – would I have been better to register a .in domain name? I know that Google searches are focussed to concentrate on a users home country but have I done the wrong thing in registering this one as a .co.uk? Incidentally the .com, .net and .org were all taken. i wonder when we get achor text from a site is the language matter? i mean is it fine for a french site to get links from english site? Yes Larry, English backlinks count on French sites. You can get a site number one in America using backlinks from foreign sites even if the content on the sites are in a different language. *Interesting note: All urls are in English right now, but I believe that will change one day. Glen, just sending in a small correction to your otherwise insightful comments, because I think what you mean is that all urls are in the Latin alphabet right now. Obviously urls of French language sites are in French, just like urls of German language sites tend to be simply in German. Being more precise, I should say that both domestic (USA) and international urls must be written in ASCII characters, which as you say are related to the Latin or Roman alphabet. After the Panda Update earlier this year, I will say that if you are in Germany and you want your site to rank number one in Germany, then a .de domain name extension is better than a .com. In 2010 it wasn’t as bifurcated before late February of 2011. You have educated me on the .co domain name extension. I did not not it originated from Columbia. I do know that Godaddy pumped their sales staff to sell it as the new .com because it look similar, but there premium price of around $30 was a ruse. I talk to them from time to time with suggestions which ended up in asking me to determine what I would charge them to come and do a training session: Glen Woodfin Possible Godaddy Training Session. Thank you very much for the interesting post. Appreciate your insights. I have also found that not so much with wordpress, but if you use tokyochurch.com for along with your main website for the churchname.com for example, that it does help your ranks on the SERP. With wordpress the additional domains just seem to point in, but EE (expression engine) uses each additional URL as if it is a different site. Very nice. Glen, I appreciate your comments on domain extensions. What’s your opinion on the following: I represent a new B2B company named Somersault Group, doing business as Somersault. We were unable to get Somersault.com, so we secured SomersaultGroup.com. We also secured the .lt domain for somersau.lt. Our target market is business executives who want to navigate the digital publishing environment of the 21st century. We’re contemplating making the visual representation of our brand (business cards, stationery, etc.) to always include the dot-l-t in it to make us distinctive and memorable. Do you believe the proliferation of other domain extensions (such as bit.ly, j.mp, nytim.es, last.fm, paper.li, etc.) has become popular enough so that people already digitally predisposed would understand what we mean when we position our brand as “somersau.lt” in designed typography? Thanks! I think it’s branding vs search engine optimization. When you go for a domain name which is your own unique name, then I don’t think it really matters what domain name extension you use as long as you’re not competing with a bunch of others for the same name. For example, one of my clients is named Carolyn Johnson, a fairly common name, yet when we went to buy CarolynJohnson.com, it was sold and being used by a photographer. We asked if she’d be interested in selling and since she used it for her business, she passed on the opportunity understandably. Therefore, we just had to do a little extra SEO to get http://www.Carolyn-Johnson.com to the top of a search for: Carolyn Johnson. It would have been easier to get to the top with carolynjohnson.com with no hyphen. Doing a search for: Somersault Group, I see your site: http://www.somersaultgroup.com/, comes up number one on a Google search. That was easy because no one else in the whole world is competing for the two word phrase: somersault group. However, if you were going for just: somersault, then you’d have a bit more of a challenge if you couldn’t get somersault.com, .org or .net. So, for unique branding searches, you’re fine in your current strategy. When going for organic searches for the keywords in the content you’ll have on your website, everything changes. If no one has ever heard of your company, then no one is searching for it unless you handed them your business card with your url on it. Therefore, the organic searches for the content on your SomersaultGroup.com site would be for keywords like: ‘digital publishing’ or ‘future of digital publishing’. It would be easier if you had bought domain names, like: DigitalPublishing.com if you want to come up number one in search for that keyword phrase. What should you do? If you go for branding, then just realize, you’ll have to do more link building and online promotion to get the word out about your site, but once they have become familiar with your site, Somersault Group is catchy and memorable. That’s where branding is powerful. If you have a unique branding name, then it really doesn’t matter as much if the domain name ends in .it or .com. It will be easy for your to come up number one in a search for: ‘somersault group’. For a real world example, take GoDaddy.com. To be sure, Go Daddy is a branding name, because if you had never heard of Go Daddy and you needed to buy a domain name, you’d never do a search for ‘Go Daddy’, you’d search for: ‘buy a domain name’ or ‘domain name seller’. So, Bob Parson’s with his love for swing music, decided to brand his domain name business after one of his passions. It would have had more natural search traffic in the early stages if he had purchased: DomainNames.com or something similar. Bob went with a branding phrase, therefore he had to do more marketing to get his company well known. If you are as commited as Bob Parson’s was, then you’ll be fine with a branding domain name. Another solution is to go for SomersaultGroup.com, then do secondary sites with links to the SomersaultGroup.com site. In other words, put up other support sites using keyword phases in the domain name (DigitalPublishingTrends.com), but do Squidoo lenses and Hub Pages and YouTube videos with the titles baring the generic keywords while putting links on those pages linking to SomersaultGroup.com. SomersaultGroup.it or Somersault.it would be fine in this case. I agree that .com would be the ideal extension but to choose a keyword phrase that receives no searches would nullify the use of a .com or .net etc. I have been working very closely with choosing ideal EMD’s and the first thing I want to be sure of is that enough people are actually putting my keywords into google. I thought my snowboarding website was a perfect EMD but a more experienced AM hit me with the disappointing news that ‘snowboarding freestyle’ was only being entered 480 times a month instead of over 20,000 that I actually believed. Although I should have suspected something because my traffic was very low. The problem lies in the google keyword tool which automatically returns the very high broad figures for keyword searches and by activating the [exact] and “phrase” match types along with broad, a more realistic report comes back. I do realise with time and good seo work, the site will begin to access the broader market but as getting traffic is the name of the game, we have to ensure the [exact] match is relatively substantial. 2. You have something new that no one has ever heard of and needs to be educated. 1. Piggyback traffic from a hot trending topic and you slip in your content with it. It works because tons of people are searching for the hot topic, so if you rank well for it, you’ll expose a related audience. 2. Build an audience over time with blogging, video marketing, Twitter, Facebook, etc. If one is passionate about their subject, you’ll get a team of followers that will crow about what you do as well. By the way, what is an EM? EMD = Exact Match Domain as in a domain name with exact match keywords. Patrick, thank you for helping me as I’ve got a lot to learn. Thanks for the tip, I just built 30 backlinks to your http://snowboardingfreestyle.com/ site. About five should be indexed this week. I see that for greenville massage you rank number one, but googles “Places for Massage in Greenville, NC” A-G comes in on top of everything. Do you make an effort to make into those spots? Domain extension or keyword phrases don’t come into play much on location rankings? JT, I just read your question again. I do think having your keywords in your url does help for “Google Local”, but it’s more powerful with Google organic. Factors such as how close your business address is to the Court House weighs in with Google Local. It’s a different game altogether. Last year reviews were a huge factor, not so much this year. I think putting your site in every local directory still helps like: Super Pages, etc. JT, it’s interesting; Google has tried to shake up “Google Local” and “Places” and “Maps” and they’ve been very schizo about it. All 2010 the “Google Local” results were for Greenville, SC. Now, starting with the 2011 algo, the default for the ‘greenville massage’ SERP is Greenville, NC. Since the SERP has now defaulted to a different state from SC to NC, you’d have to do a Google search for: greenville sc massage. We are number 2 in “Local” as of March 17th, 2011. We are number one for: ‘greenville sc massage therapy’ and number one for: ‘greenville sc massage therapist’. Funny you should ask about http://www.Greenville-Massage.com as it was one of the first sites I ever optimized a few years ago. If you are looking for a UK site then co.uk is better than com as anyone in the UK asking for UK based websites will see these first. I have http://www.insurancesupermarket.tv and it is too early to tell if I’ve made a big mistake! My com website with a similar type of content is rocking now but in 2011 I started linking. Google has changed and I agree with what you have said in your article that links are king over content. Thanks for the article, wish I’d read it before I bought my .tv!! I wonder if this is still true? I hunted through a bunch of search results and rarely see anything except .com on the first page, but most SEO people only use .com anyway, so even if other extensions were working well we might not know it. Any recent news or more recent tests? Please give me an example of what keyword phrase you were using for your search? I’ll analyze it. In the mean time, my guess is that the search you used was a search where no one has purchased the .com, .net and .org urls with the exact keywords in the domain name. If you experiment with it, you’ll see that it takes a lot less link building to get those three to the top of page one than other domain names and their extensions. I think you misunderstand my comment. I was saying that it seems as if every search yields only .com domains, which indicates that you’re right. I just wonder how hard it is to get some ranking without a keyword.com domain? With http://www.keycrushers.com we have a term no one searches for, and I wonder if we should buy a junk domain like hiringanauthornadwriter.com or something, or stick with what we have and try to SEO the rest of the site? I go for generic keywords for the name of my site and also in my url when I have competition of 10,000,000 or less. I geo target and product or profession target both the h1 tags and buy a domain name with the exact keywords in it. Otherwise, one can get any site to the top for any keyword phrase with enough backwards links to your site, especially if they carry the anchor text that you wish to be rank for, but who wants to build so many backlinks? I prefer to get a boost from urls where my primary keywords are in the domain name. I always use the Google Keyword Tool for a guide when making my keyword decisions. In your case, I’d use the one your have for a branding url which is memorable and a great way for wordof mouth advertising; then, at the same time, I’d clone the site with your generic keywords in the url. I’ve had no problems with high rankings with cloned sites as long as you change the metatags and the h1 (on page) titles. Therefore, you’ll have two sites: your branding site: keycrushers.com and your other site seo-ed for the keyword phrase that you want to rank for. If your branding url eventually becomes a household word, then your branding url will eventually overtake your generic keyword stuffed url. In the early stages, the generic site will outperform the branded site. I can’t thank you enough for the help Glen, I’m learning as fast as I can. I was under the impression that having duplicate content on the web hurts your search engine ranking, so I never thought to make a clone site. Is this incorrect? Can I really make five different sites with the same content and see which performs better without hurting the original? Thanks for the article, it is very well done and has helped me in deciding some stuff in a marketing campaign im doing at the moment. Didn’t knew the .com was more relevant than for example .eu or .net or .org, but it’s nice to know. João, it appears that you’re trying to get a backlink with you comment, because it seems like you read my post…here’s your link! I have some questions. Bridgepoint Education is in the news for senate investigations and such, and has created a website ending in .com to provide more information to stockholders. I’m sure the site is getting a lot of traffic.I purchased the same site, http://www.bpitransparency.net on GoDaddy as well as the .info, .org, and .mobi. How do I get an idea of the value of these sites? Also, would a site like http://www.duckload.tv or http://www.duckload.mobi be of value? I don’t understand why Duckload wouldn’t have purchased them, and what are the odds one of these companies tries to buy me out? All domain names and their urls have some value. Currently, for the Google algorithm, if you put the exact keyword(s) in the domain name that contains the exact keywords that you wish to rank for in a search, buying the domain name with the .com, .org or the .net will help you come up higher in that search. The others will not. In your example, you wish to come up high in a search and compete with http://www.bptransparency.com in a search with the .net extension. You will be helping yourself if people are searching for ‘bp transparency’ in the search. However, if you think people are typing in ‘bridgepoint education’, then, you would need to purchase: http://www.bridgepointeducation.net. If you think they are typing in ‘bridgepoint education transparency’, then I’d recommend you purchase: http://www.bridgepointeducationtransparency.com or .net. For people that type in ‘bp transparency’ in a search, then you’d need to buy: http://www.bptransparency.net. The only reason the owners of duckload.com might wish to buy you out is if you are creating problems for them. Most of the gurus and companies only buy the .com. I think that’s a mistake. I’d buy them all just to take them off the market…including duckloadscam.com and duckloadsucks.com. Get your facts right before you talk? So why not have this page of yours blank and just see what happens? Why are u shitting people with crap? Thank you for your thoughts. You can have the best content in the world, but if no one links to you, then it would be like winking at your girlfriend in the dark…you might have great content, but she can’t see your message. Simply having awesome content means nothing, because you could publish a site and never get indexed by Google even if you have the cure to cancer. I have hundreds of pages with powerful content that will never be in the Google index. I don’t link to them, I simply send a link in email to those that I want to see the page as I consider it private. In order to get in the Google index, you either have to send them a request to index your site or a site that is already indexed has to link to your site period to even show up on a Google search. Once one’s site is indexed by Google, then it goes through a series of evaluations at multiple data centers that Google has all over the world. The process is called the Google Dance. The site ranking can be very volitile during this process before it settles in to it’s more stable position. As you can see, there are over 8 million competing sites on a broad match for the keywords: greenville massage, yet my site ranks number one. Look at all the other real sites with actual content that I’m beating using the technique that I have described here. Many times a movie will have a 100% Flash website which is practically invisible to the Googlebot, yet it will rank number one for the name of the movie because so many review sites link directly to it. I do agree with you that if you can get a site indexed with remarkable content, then over time, it should come up high in the Google rankings by virtue of natural links where people are talking about it on their websites and social media sites like: Twitter and Facebook. Hi Glen, From a worldwide perspective would agree that com and org are the 2 to get (will refer judgement on co)but for specific markets e.g uk i have found that i can rank higher with a co.uk rather than the com and also that the org.uk tends to do better than the org. Never tried a net.co.uk or net and wonder if it was the only one left for a keyword domain whether it would rank better than a non exact keyword domain with com or co.uk? Hi Glen – Great Site – My question is: Is adding an unneeded word in the URL possibly detrimental to your ranking? For example, I wish I could get http://www.guitaronline.com, but alas this is taken. Would http://www.guitaronlinesource.com (which IS available) have as much power as the former? Let me just add – the search key in Google would be “guitar online.” Could the word source actually HURT the ranking? If your primary keyword is ‘guitar’, then it’s best to get guitar.com, but as a second choice, GuitarOnline.com is fine. You’ll have to work harder to get to the top of the rankings; but it’s a big boost to have the word ‘guitar’ in the url. You’ll need to produce a quality site and lots of backlinks to beat guitar.com, but I think it’s worth pursuing. Guitar.net and Guitar.org are other good choices which are a bit better than GuitarOnline.com, but since you’re late to the trough, it’s a good starting place. Crap, I got sites ranking without a prob in Google, nr. positions with .nl, .info, .eu. As simple as my .com names. Of course, it would depend what keyword or keyword phrase you were shooting for. The more competitive the keywords are, the more important it is to get a .com, .net or .org. If you live outside the US, there may be better domain name extensions for your country. Feel free to share the keyword phrase that you are ranking for. Matt Cutts of Google has said that if one wants to rank well in their own country, then they account for where the site is hosted. That would make having your servers in your own country as a ranking factor. Interesting. Would you please give an example? Please include the keyword phrase you are searching for, then include the url where you are ranking well. Thanks. Even though the comments are on a Google sponsored forum, it’s inaccurate. The poster, Autocrat, is simply sharing his opinion. 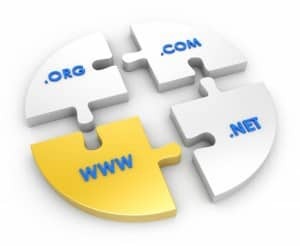 I first started noticing the preference to the .com, .org and .net extensions when I would magically see them appear on page one for exact phrase domain name without doing any link building. Therefore, I started doing tests to confirm it. As an online reputation manager, I typically buy all the extensions for their name. For example, I own GlenWoodfin.com, .org, .net, .co, .info, .biz, etc. I would put up WordPress blogs for all the extensions on the same day and the .com, .net and .org varieties would always race to page one without any link building, even though I had not put any content on the sites. The others would remain on page 12 or deeper. I’ve been doing this for years, so I’ve tested it enough to be confident in my statement. I’ve tested it a few times in the last month after the Google Panda Update and it still remains a strong part of their algorithm. I have noticed that there seems to be more of a preference to purchase the exact phrase for your country’s primary domain name extension. For example, if I was in the UK, it would be a very good idea to purchase your exact match keyword phrase in your .co.uk extension if you are wanting to come up number one in the UK. Matt Cutts even said recently, it even helps to host your site on servers within your own country. I have not tested that out yet, but he made that statement in 2011 after the Panda Update. By the way, that’s a great find on your part, thanks for sharing the link. Finding reliable information about SEO is very difficult. Every man and his dog is happy to share with the world what Google thinks and does. More often than not it is based on rumors and hearsay. So thanks for sharing your empirical studies with us. Nothing beats that. Brenda, I think you’ll find that blog commenting for seo backlinks have been greatly devalued since the Google Panda Update. This page one web on google when i search for “can .org beat .com domain” , and i was happy, this site truly give me some enlightening for noob like me and u tell this study for all reader, no one seo master will tell this info. many thanks! No, only buy .com, .org and .net. Hi Glen, thanks for this information, I found it really useful in trying to decide on a name for a new web venture I’m building. I had a question about ‘filler’ words in the domain. Say for instance the keyword I am targeting is ‘blue pencil’ and bluepencil.com, .org and .net have all gone, are there certain ‘filler’ words that Google recognizes to be better to use? ie would I be better to go for mybluepencil.com over ibluepencil.com or a misspelling like bluepencill.com ? Does Google see certain fillers like ‘my’, ‘the’, ‘your’ in a way that you’d be better off using them than adding other letters even if your keyword is still in there? Also connected to this is whether it is better to add fewer letters before or after your keyword phrase? So, in the example above, is it better to add ‘i’ rather than ‘my’ before ‘blue pencil’? Would this be marked higher by Google because is it closer to the phrase you are targeting? The best domain name url is the exact keyword phrase with the .com; however, the second place can be the addition of some filler words like: my, the or a number. I do not know which is better as far as putting those filler words before or after the primary keywords in the domain name. I can say that as far as meta tag titles for websites, blog posts and even the titles to YouTube videos, it is no longer important to have your primary keywords at the front of the title. There is no question about it, for the last two years, the order is not as important as it was 5 years ago. I just picked up a .us extension for what looks like a high value exact match term. Although it appears that it’ll be harder to rank for the top 10 based on your article, I’m at least pleased to see that you have it ranked 4th in your list of easiest. I also love your advice about setting up the free hosting with godaddy with a title tag and h1 to get domain age started. This is an affiliate link, so they will pay me a bit for helping you get set up. Some sites I’ve been working on this week are: http://www.WomenBuildingBridges.com and http://www.bradfallonnews.com/ . Either way, thanks for stopping by and leaving a positive comment. It does not sound “sound” or logical at all, given the democratic nature of search engines and internet, that a domain extension (regardless of the content) can push a website up the raking or down. That’s the reasoning. Except for the incidental (probably temporary) treatment of .info domains, no discrimination is there. I appreciate your point of view, but I have massive experience with this for years including pre and post Panda (http://rt.com/news/blogs/contrarian-view/glen-woodfin-online-reputation-management-genius/). Yes, you can be number one in Google for any search with any domain name extension if you can beat the competition and have more backlinks from authority sites. Having a .com, .org or .net extension in the United States just gives you an advantage. If the search is done in the UK, then a .co.uk domain name extension gives you an advantage, especially if the site is hosted on UK servers. Great post, was exactly what I was looking for. I just wanted to touch on your comment there about a site being hosted on UK servers. I’ve seen this sort of thing all over the web and have always taken it as gospel but have yet to see an article that explains how/why in simple terms (I’m new to seo but have alot of experience in content management and such). I dont suppose you could point me in the right direction? I can’t tell you why Google has decided to give a ranking boost to the .com, .org and .net domain name extension, but I speculate it’s their philosophy that those that jumped on the top level domain names early are likely to have more authority on the subjects because they got in the game before newbies on that subject. As far as buying the top level domain names for a particular country, Google wants to target location and using a .uk.co tells them you are in the UK, therefore they push a search higher in UK searches for that url. It has been said that hosting your site on servers in that country help to, but I have not tested that. By the way, Google (like politicians) have made public statements that domain name extensions are all equal for ranking, but anyone that does seo for a living knows that’s just smoke and mirrors to keep the public in the dark. Thanks for your response. I’ve setup two sites with exact match domains (both geo – .co.uk’s) and will feed them similar content and backlinks. One is hosted in the UK and one in the US. I’ll be sure to report back to you once I have a respectable amount of data.